Rest in peace, Alosamoa Erna Va’ai! Samoa paused yesterday to reflect on and celebrate the life of one of the government’s longest serving Chief Executive Officers. The Acting Head of State, Tuimaleali’ifano Sualauvi Va’aletoa II, Prime Minister Tuilaepa Sa’ilele Malielegaoi, Cabinet Ministers, Members of Parliament, Members of the Judiciary and senior government officials paid tribute to Alosamoa Erna Vaai-Aiono during her final service at Gym 1 Tuana’imato. 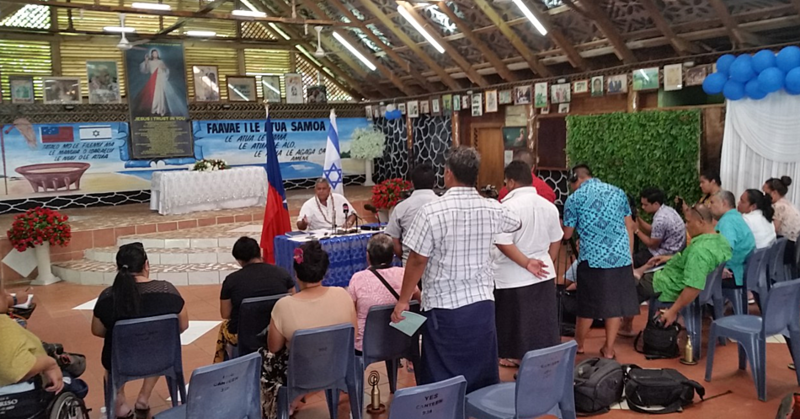 They were joined by her husband, Nanai Falaniko Aiono, their five children, families, friends, colleagues and members of the Worship Centre Samoa church. 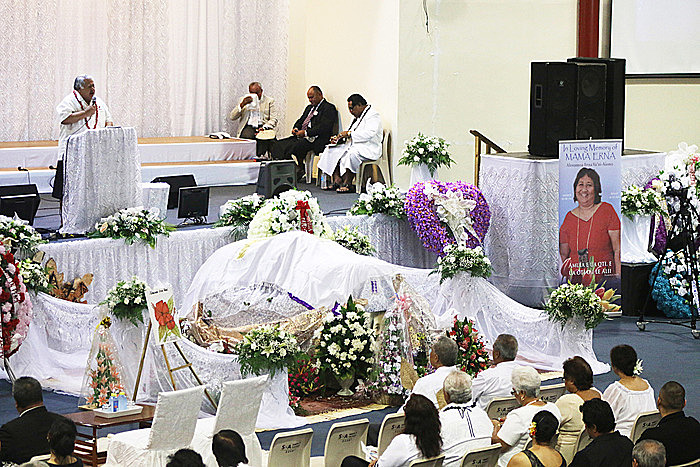 They remembered ‘Erna’ the “very loving, kind and a humble” leader who was indeed “a gift from God” to her family and Samoa. Alosamoa, the C.E.O. of the Samoa International Finance Authority (S.I.F.A) passed away in New Zealand last week after a long battle with cancer. She was 53. Apostle Viliamu Mafoe of The Worship Centre Church, acknowledged God for his hand over Alosamoa’s life. He spoke about a beautiful soul who was dedicated to serving her God and country. Prime Minister Tuilaepa paid tribute to an honest worker who thrived behind the scenes. “She carried out her duties with humility and a devoted heart,” Tuilaepa said. The Prime Minister said Alosamoa was a very low profile kind of public servant. Tuilaepa said Samoa will miss Alosamoa for her work in guiding S.I.F.A. during the many years she was at the helm. Her husband, Nanai Falaniko Aiono, remembered a wonderful wife, a loving mother and a caring soul who was a giver. “If Erna got an allowance from work, she would share it with her staff or anyone that she would meet with before us,” he said. “She loved giving. I must say that all of her good works were following us every day until her final breath." Nanai recalled the time he met his sweetheart. “I met with Erna when we went to Waikato University,” Nanai said. “After years there (New Zealand)…then we came and got married in Samoa and returned to New Zealand to continue her law degree…then we stayed in New Zealand for seven years. Since then, they have had five, loving children. “I don’t want to say goodbye to you Erna,” he said. 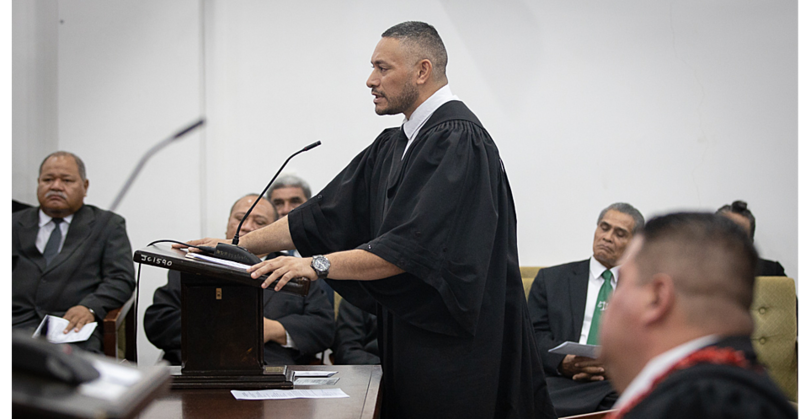 “I believe one day we will meet again.” Alosamoa is a lawyer by profession. She holds a Bachelor of Arts Degree majoring in History and Political Studies as well as a Bachelor of Laws degree. She was admitted as a Solicitor of the High Courts of Samoa and New Zealand. Her employment background in Government started as a State Solicitor in 1989 at the Attorney General’s Office. She was then appointed as Assistant Registrar of International and Foreign Companies with the Central Bank of Samoa, before moving on to the Ministry of Finance and then S.I.F.A. 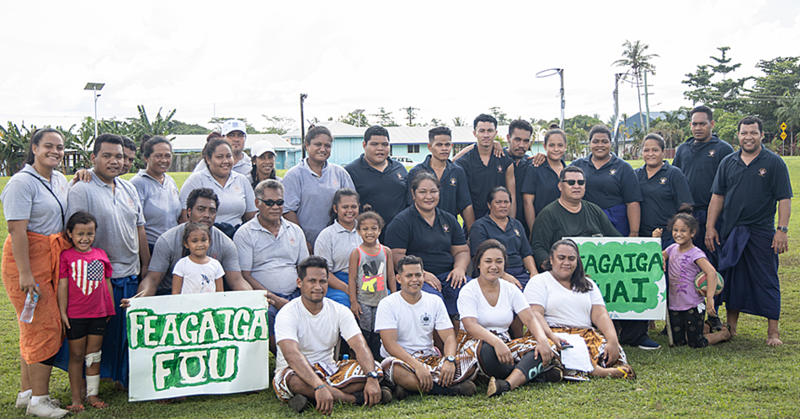 Alosamoa has represented Samoa in many seminars, workshops and training programmes. She was also involved in many local and international organizations and committees. The daughter of Ropati and Mautanoa Lisi Vaai, Alosamoa’s siblings include Eti, Lisi, Fofoa, Kolone, Herman, Alesi, Bonnie, Alamita, Aloe, Tu’ugalei and Oliva. Her five children are Robert Niko, Nicola Rosita Sheba, Ulalei Koreti, Elyse Prada and Lolina Aiono. At the back of her funeral programme, 2 Timothy 4 verse 7 is quoted: “I have fought the good fight, I have finished the race, I have kept the faith.” Rest in peace, Alosamoa Erna Va’ai!